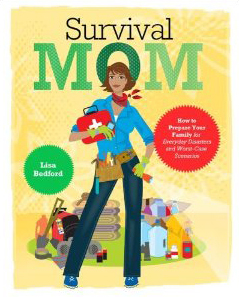 A while ago, I received a copy of Lisa Bedford's new book Survival Mom to read and review. Although from vastly different backgrounds and with decidedly different approaches to survival, I found that Lisa and I share a very important passion - keeping our families safe and preparing for what may be. Lisa, who also keeps a website that goes by the name The Survival Mom, began her survival journey with the threat of Y2K. While Y2K amounted to less than a bump in the road, it became the inspiration for Lisa to begin exploring the road less traveled. She began to start thinking "what if?" and "could that really happen?". 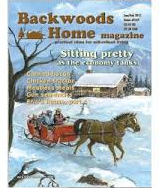 As she began researching she noticed an unfilled niche - women in the survival movement. All that she read was written by men, for men. Knowing that women concerned themselves with things of family rather than ballistics and bullets, she started writing for the moms. And the moms responded. They wanted to know how to care for their families, how to prepare for hard times and what to do if their world came crashing down. They wanted to be prepared. And Lisa led the way. 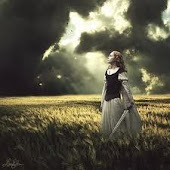 Survival Mom is a great place to begin your preparedness journey. It is full of lists, encouragements and a can-do attitude. While the information may be basic (for those of you who are full-time survivalists), it is the perfect book to give to the soccer mom in your life. It makes preparedness seem attainable, reasonable and eminently prudent. It is the perfect book for that sister-in-law that thinks you are a little nuts for keeping a barrel full of toilet paper in the garage. Lisa has a disarming style that takes the crazy out of survivalism and replaces it with good, old-fashioned common sense. 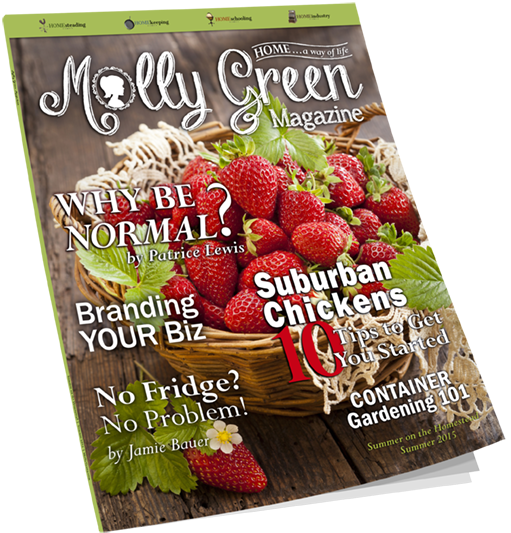 Survival Mom covers everything from food storage and sanitation to security and evacuation. Lisa has all the bases covered. If you are looking for a tool to introduce your non-prepper/survivalist friends to the world of preparedness, this is the book for you. Survival Mom is available on Amazon (and in bookstores). Grab a copy, maybe two - the future of your sister-in-law might just depend upon it! Thanks for the clarifying book review. My brother wanted to give me the book, but we're way past the target audience for this book, LOL. It will make a great beginner book for my new DIL, though. I am hoping you are still thinking (working) on a book of your own!! That's definately on my want list! Thanks for all you do!